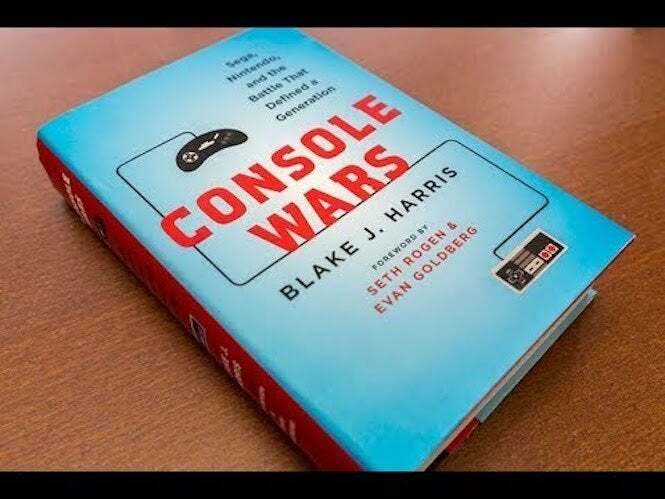 When it released a few years ago, Blake Harris’ novel Console Wars got quite a bit of attention, talking about the battle between Sega and Nintendo in the fight for a generation. And now, Legendary wants to bring that fight to television. The book originally published in 2014 under HarperCollins, and dove into the behind-the-scenes drama about Sega’s entry into the video game industry, taking on the mighty Nintendo, who was dominating at the time with the Nintendo Entertainment System. Jordan Vogt-Roberts, who is no stranger to video game programming with his desire to make a film based on the Metal Gear Solid franchise, will serve as director, while Mike Rosolio will write the pilot for the series. (No word yet who will write other episodes.) Rogen and Goldberg will executive produce alongside James Weaver, Scott Rudin and Eli Bush, as well as Julian Rosenberg of Circle of Confusion, Harris and Jonah Tulis’ Flying Penguin Pictures, and Rosolio and Vogt-Roberts. There’s a lot of talent involved here, as Vogt-Roberts previously worked on the blockbuster Kong: Skull Island, while Rogen and Goldberg were responsible for the successful AMC series Preacher, as well as Future Man for Hulu, which just premiered its second season. It’s unknown if Harris is involved with the production, though having him on board as a consultant would be a pretty novel idea. Vogt-Roberts even took the time to express his enthusiasm about the project on Twitter. We’ll let you know more details about the series as soon as they become available!